Bob McCulloch, the prosecutor who handled the Darren Wilson case after Michael Brown's death was just named Missouri's "Prosecutor of the Year." 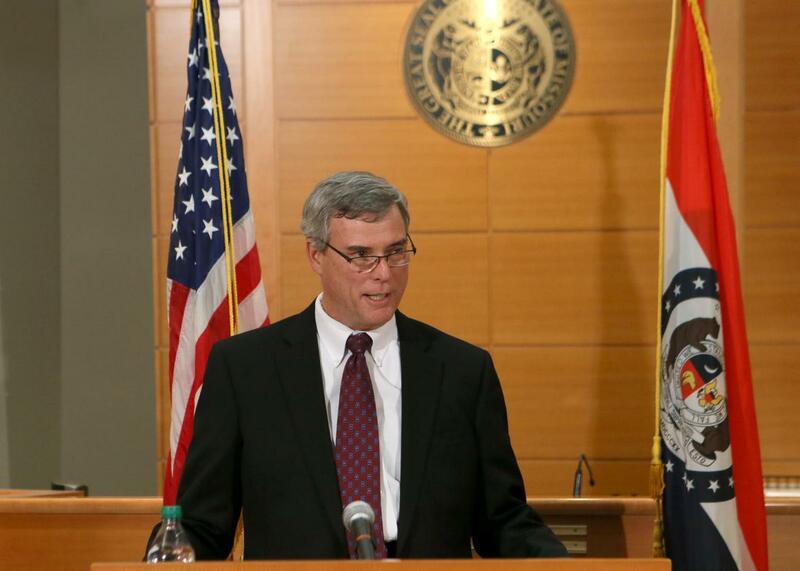 St. Louis County Prosecutor Robert McCulloch announces the grand jury’s decision not to indict Ferguson, Missouri, police officer Darren Wilson in the shooting death of Michael Brown on Nov. 24, 2014. McCulloch was the public face of the decision to spare Wilson of any criminal charges in connection with the shooting death of Michael Brown. That decision, which sparked violent clashes between police and protesters in Ferguson, was made by members of a grand jury after prosecutors from McCulloch’s office presented them with evidence during closed-door hearings. McCulloch was criticized at the time for his handling of the case, with many arguing that his office had deliberately gone easy on Wilson out of a desire to protect him and the Ferguson Police Department. Some Ferguson residents and officials protested McCulloch’s involvement in the case in the weeks after the shooting, saying he should recuse himself because his personal history—his father, a police officer, was shot and killed by a black man in 1964—made him biased. Wilson was ultimately cleared of wrongdoing by a Department of Justice investigation, which found that there was no reliable evidence that Brown had his hands up in surrender at the time of his death, or that Wilson was wrong to fear for his life during the confrontation. Nevertheless, Wilson’s non-indictment highlighted how rarely police officers who have killed civilians in the line of duty are charged and taken to trial. McCulloch himself has served as the prosecuting attorney for St. Louis County since 1991, and since that time, his office has been tasked with overseeing five cases involving people who had been killed by police officers; indictments were not handed down in any of them. A call to the Missouri Association of Prosecuting Attorneys was not returned. No one from the Missouri Bar was available to answer questions.